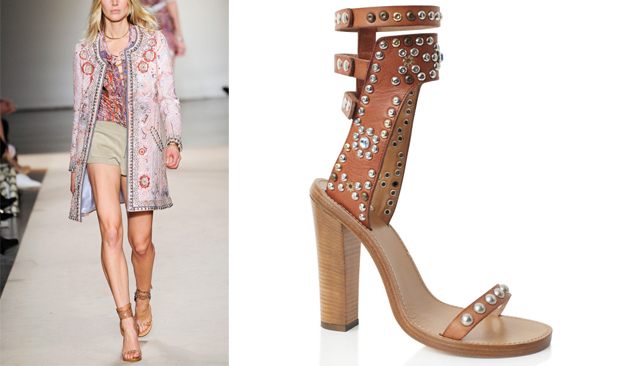 Have you been lusting over these beautifully studded, gladiator sandals from Isabel Marant's S/S13 line as well? I have, for a very, very long time in fact but I'm too cheap to shell out the money required to have these in my closet. To tell you the truth, I've actually been stalking these for awhile as well. Their original price was around P7500 if I'm not mistakened. Although crafted with genuine leather, I wasn't ready to pay that much because I just bought several other pairs from both Mango and Zara. But yesterday, as I was strolling through Glorietta after my Body Shop event, I decided to pop in Mango Touch to check out the sale and lo and behold, these were on final markdown from P7000-P4500-P3000* and finally P2450! Such a steal, don't you agree? They're super comfy too.